File Transfer Protocol (FTP) is a common method for transferring files to and from local and remote computers. While the protocol has been around for many years, it remains a flexible and popular choice due to its ability to queue and transfer large batches of files, support paused and resumed transfers, limit transfer rates, and more. FTP transfers are natively supported in many web browsers while you’ll also find dedicated FTP client applications available for all major operating systems. 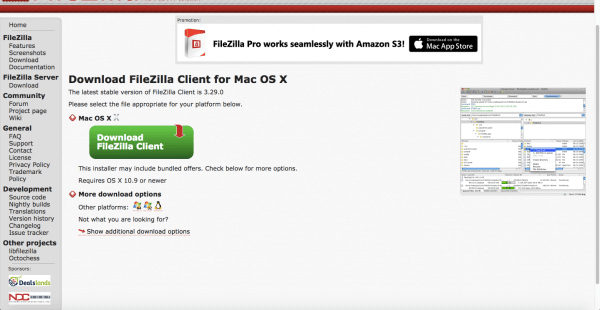 One popular option is Filezilla, which is available for Windows, Mac OS, and Linux. Head over to the Filezilla website, then download and install the client application for your chosen operating system. FTP access to your HostPapa server is secured with a username and password. Your FTP client will need to be configured with these credentials before you will be able to access the server. 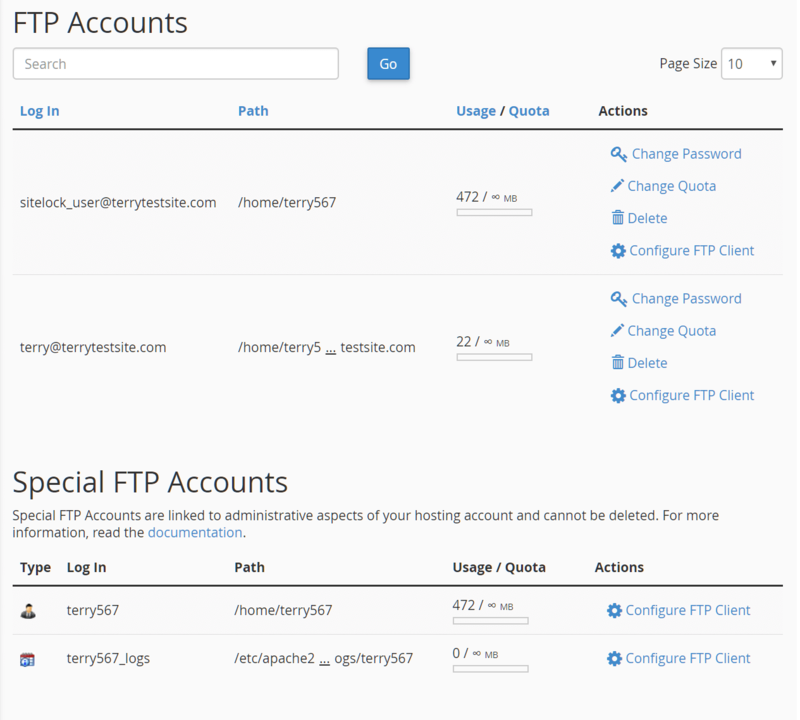 Log in to your HostPapa Dashboard and select My cPanel from the top navigation bar. Under Files, click the FTP Accounts icon. Scroll down the page to the FTP Accounts section. You’ll notice that one or more FTP accounts may have been preconfigured for you, when your account was commissioned. You can use these accounts to access your server, or alternatively, scroll up the page to create a new FTP account. To learn more about configuring additional FTP accounts, read this HostPapa knowledge base article. 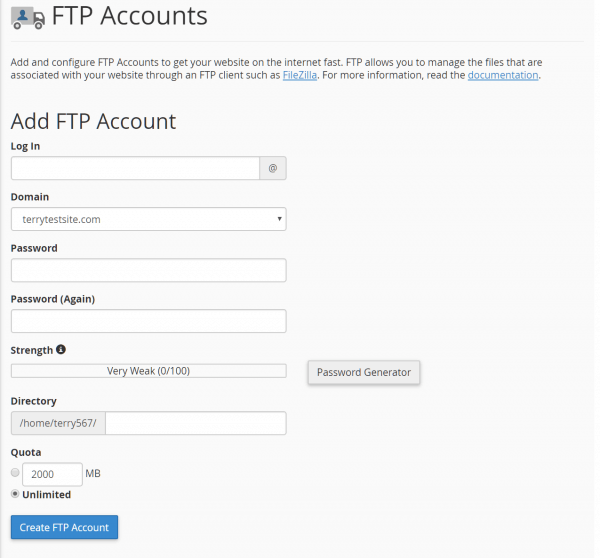 Once created, click Configure FTP Client to display your FTP account credentials. 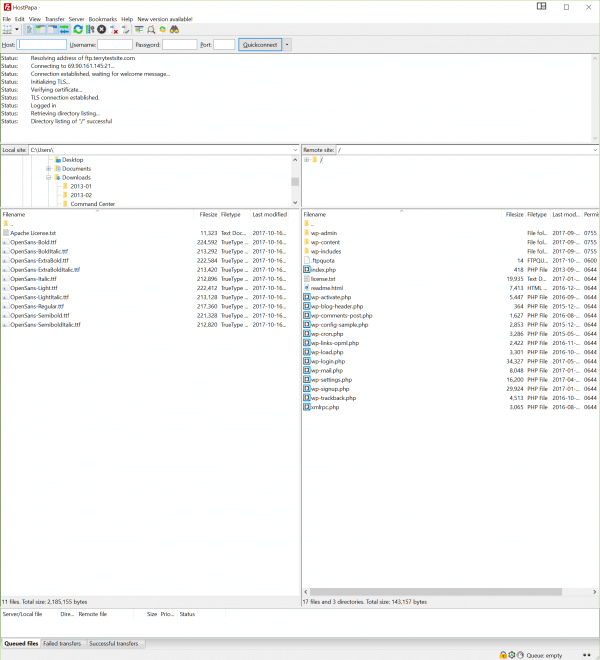 Open Filezilla and select File > Site Manager to open a panel in which you can enter your FTP account details. Hostname/Server Name – this is your domain name, with an ftp prefix (for example, mydomain.com). Port – the port number used for FTP connections to the server. Typically, port 21 is used. Logon Type – if requested, set this to Normal, rather than Anonymous. User – enter your FTP user account name. Password – enter your FTP account password. Once logged in to the FTP server, you’ll notice two panes on screen. The left pane displays the files and folders stored on your local computer, while the right pane displays the contents of the remote computer. In the left pane, navigate and select the files and folders you wish to upload to the server. Most FTP clients allow you to simply drag and drop files from one pane to the other to initiate an upload. Alternatively, highlight the files, right-click, and select Upload. Your files will now be queued for uploading to the server. Downloading files from your remote server to your local computer works in a similar way. This time, navigate to the file or folder you wish to download in the right pane. Highlight the file or folder, right click, and select Download.